Google Account Manager Apk Download: Got your Android device stuck at Factory Reset Protection lock? Looking for working solutions to get rid of this lock and get access back to your device? If yes, then you are at right place. If you download Google account manager app and install it according to our guide, then you will be able to solve your issue and unlock this FRP lock. In this article, we have explained how you can download google account manager app on your FRP locked device and install it to get access back to your device. 1 What is Google Account Manager Apk? Google account manager apk is used to unlock the Factory reset protection lock. Now you may be wondering that What the hell is this Factory reset protection? No worries, we are here to clear your doubts. Factory Reset Protection is a feature of Android which protects your device from an unauthorized person who tries to access your device after doing the factory data reset. When someone performs a factory reset on an Android device and restart it, then the Android device will ask him to enter Google Account credentials which he might don’t know. Thus Factory Reset Protection lock protect your data and provide you with good privacy. 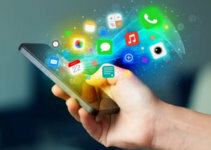 But sometimes it can be trouble also if you just forget your Google account credentials then you might not get access back to your Android device. There are two Google managers in Android phones which are Google Admin and other is Google Manager. Functions of both are different. Google admin aims at controlling the cloud services of Android smartphone. But Google Manager provides the passage to enter email, password and mobile number into the Android phone. Google account manager add extra layer of security to your Android smartphone. Now, what can you do to bypass this Factory Reset Protection lock and get access back to your device? You can download Google account manager apk; this app will help you Bypassing FRP Lock easily. This application will remove previously used Google account credentials so that you can add a new Google account on your Android device. In case, if you have Samsung smartphone then you can try Samsung Bypass Apk. Completely Trusted App: Google account manager app is fully safe. You won’t face any risk of security or data loss while using this app. Free to Download: This app is completely free to download and install. You don’t need to pay a single penny to download and use this app. Supports All Latest Android Versions: Google Account Manager Apk supports all the latest Android versions. If your device is running on a new Android device, then you would be able to bypass Factory Reset Protection lock. Easy to Use: This app is very easy to use and have a user-friendly interface. You can easily install it and bypass FRP lock. Developers of this app made navigation so easy that you can easily figure out which option to choose to do a particular task. Bypass FRP Lock Easily: This app can help you bypass FRP lock with much ease. 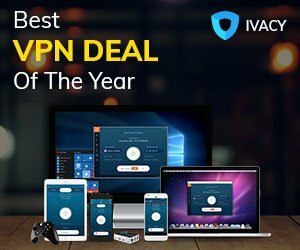 If you have tried lots of apps and many other ways to unlock Factory Reset Protection, then this app is the one you need now. So, these were some amazing features of Google account manager apk download. Now it’s time to know the supported device of Google Account Manager app. So, this was our list of devices which are compatible with Google account manager apk. 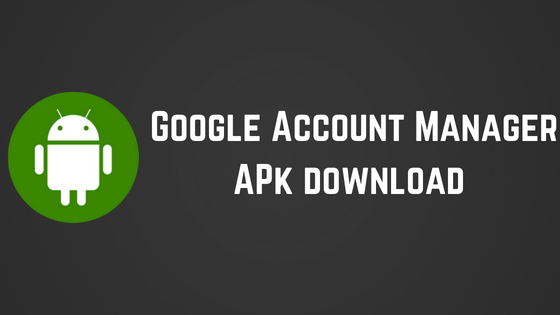 Now it’s time to let you know steps to Google Account Manager Apk download. If you are thinking that you can download Google Account Manager app from play store then you are wrong. In Android smartphones, Google account manager app is by default present on Android phone to manage the Apps and Services which need Google Services support. But in case, if you are facing Google account manager error then you can download and install Google account manager app by the third party from unknown sources. Here we are providing you with very easy steps by which you can download Google Account Manager apk and bypass Factory Reset Protection lock. You don’t have to struggle by following multiple complicated steps. Just follow below simple steps carefully, and you will be able to unlock your Android device. First of all, you need to download Apk file of Google Account manager 8.1 Apk. You can download it from below download button. Most probably your installation will be blocked. In case, if you get any warnings that Unknow Source is blocked, then you need to enable it manually. When you are done with Google Account Manager apk download then copy this apk file to any USB Pen Drive. 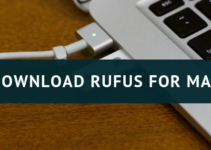 Now connect this USB Pen Drive to your FRP locked device by an OTG cable. When you connect OTG cable with USB Pen Drive, then your device will show you a popup. Here, you can click on the top three dots. Just long press on it and you will see a settings icon. Click on that icon, and you will be redirected to the settings of your device. Find security and then enable Unknown Sources from there. Once you have enabled Unknown Sources, then you are ready to use Google Account Manager apk. Now, click back and open File manager app of your device and then look for the Google Account Manager apk file. Click on it and install it. Now, wait for completion of installation. Once the installation is completed, you will be redirected to a screen where you can add a new Google account. Now add a new Google account here and finish setup wizard. Voila, you have successfully bypassed the Factory Reset Protection lock in easy steps with the help of Google Account Manager apk. So, this was our step by step guide to bypass Factory Reset Protection Lock with Google Account Manager Apk. We hope that you are no longer facing Factory Reset Protection lock on your Android device and have bypassed it. In case, if you are not able to bypass it or facing any issue in the procedure then feel free to ask us in the comment section. We will try our best to help you out as soon as possible.